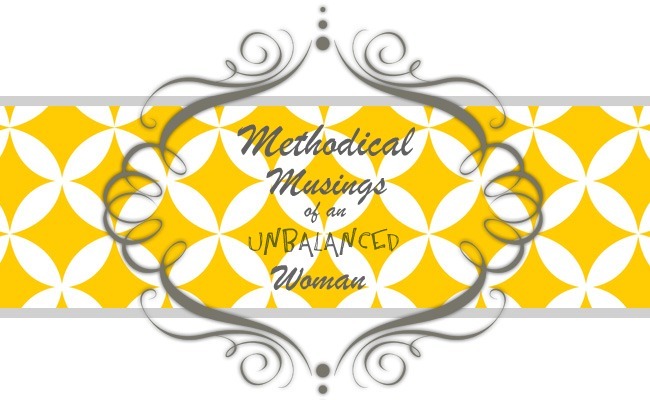 Methodical Musings of an Unbalanced Woman: What do YOU radiate? Such a great thought. I am not sure what I radiate...I will have to think on that one. But I am sure if I lived near you, I would agree wtih your friend. You have a very smart friend, Mel! You do have a big heart. Great thoughts to think about! not sure what I radiate... I'm still trying to figure myself out!! I've never met you in person - but for me you seriously radiate LOVE! you don't know how much I have needed your words and kindness!! I'm glad Jenn. You are in my prayers. I feel like I never joke around, or can even contribute to the conversation...I love hangin out with my kids, but it's hard when I'm constantly worrying about their behavior or what they are getting in to at someone else's house. What do I radiate when I'm with others? Hopefully, my constant hope that I'm 'good company.' :0) Good thoughts Mel! Thanks for this post.